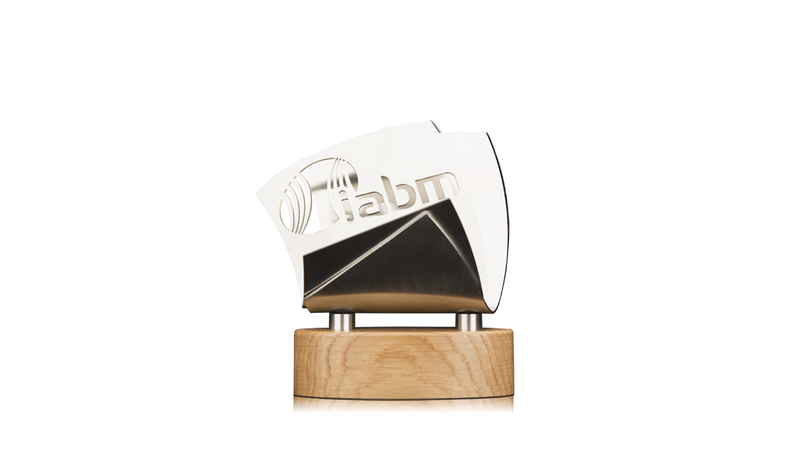 An impressive trophy, presented at the IABM Awards. Constructed with layers of rolled aluminium, this individual design resembles sheets of paper in a sculpted form. The logo is cut out of the aluminium to provide eye-catching and prominent branding, as an alternative to standard printing or engraving. The polished aluminium is suspended on a smooth wooden base.